Who is Nathan Yi? I’m a Bay Area native, an average guy doing average things. I believe in creating social impact, especially for those perceived to be underdogs like startups. I also do customer support for CourseHero. What brought you to VLAB? Chance! A friend told me to check it out. What are you doing now for VLAB? I’m organizing the upcoming event on chatbots and digital assistants. Initially, I volunteered to help with the September event to learn more about VLAB. After we got started, I was nominated for the role of event chair and have been leading an incredible team of volunteers. What do you like about your role at VLAB? It’s been rewarding to work with an exciting group of people at VLAB. Not only do I get to work with my team, but I also get to speak to founders and CEOs as we explore companies that are developing the latest technology. I’m growing as a person and in my leadership abilities. It’s nice to have a super sharp audience because it forces me to be at the top of my game. What surprised you? How interested I’ve become in chatbots! I liked that the founders and CEOs were open and willing to participate in the Sept 20 event. Finish this sentence. 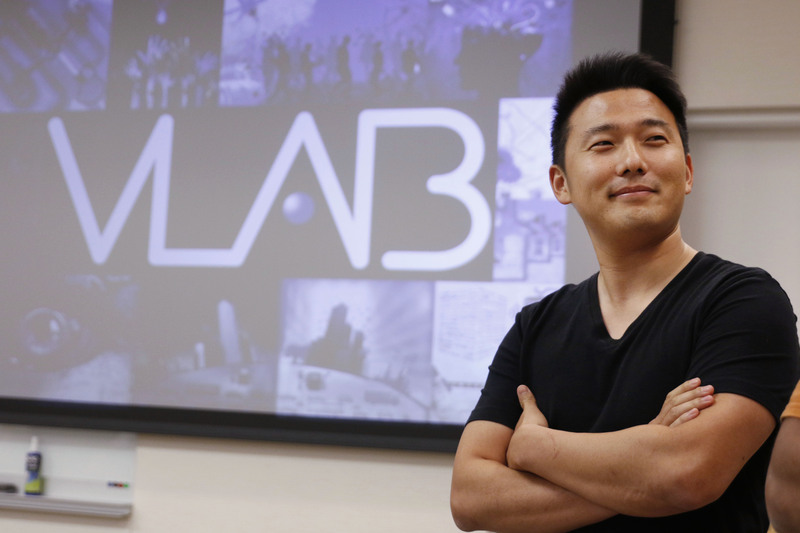 VLAB is for people who … are hungry for knowledge and excited for growth! Story by Michelle McIntyre and photos by Paul Sakuma.